Movies are great! They pull you into a story and, if they’re really good, you feel like you’re part of the experience. The downside to movies is they don’t always reflect reality. And wedding planning is one topic that moviemakers really like to play with! If you’ve been inspired to become a wedding planner because of some amazing romantic comedies, here is your dose of reality so you don’t have overly high or low expectations. Are you ready to find out how a career in wedding planning is different from in the movies? Keep reading to get some answers! Except for the wedding planner that is now dealing with a heartbroken client. And a bunch of upset guests and angry vendors! But this isn’t something you really need to be worried about. Of all the things that could go seriously wrong at your wedding (and believe us there are A LOT), you don’t need to waste your time preparing for Patrick Dempsey to ruin it Made of Honor style. Wedding movies make it seem like there is a 50/50 chance you’re actually going to make it to the reception. But, that is far from the truth! So spend your time making a backup plan for poor weather instead of probing your bride about any possible alternate love interests you should keep out of the ceremony. You fall in love with the groom like Jennifer Lopez in The Wedding Planner, so instead of watching the man you love walk down the aisle, you go to your own wedding ceremony. Let’s look past the super tangled love triangle (or is it a love square?). J-Lo doesn’t have time to get married she needs to get to work! You might think that you have perfectly planned your client’s wedding and you can sit at home and relax. Your work is done! But you’re going to have a really hard time competing in the market if you aren’t offering day-of services! Did you see the amazing weddings in Bride Wars? Anne Hathaway and Kate Hudson had crazy big budgets! From the venue to the flowers to the dress, these events were stunning and enormous! In fact, most movie weddings seem to be really luxurious. If you think all wedding planning is going big or go home then we’re sad to say it’s probably time to pack your bags. Of course, you can plan huge events, but not every wedding is going to be as big as the ones you see on the big screen. Making a budget with your clients and sticking to it is one of the hardest parts about being a wedding planner! Your client might want everything, but it’s your job to remain realistic, manage expectations, and stay on budget! That means managing your expectations as well. So don’t get caught up in the glitz and glamour of Hollywood; you’ll have to learn to do weddings of all budgets and sizes. You’re not always going to be doing what you think is best. You’re not always going to be designing things that match your aesthetic preferences. And you’re certainly not going to be able to walk into a room and start telling your clients “this is what things cost.” Communication is so important in the wedding planning industry. Walking all over your clients is a great way to develop a bad reputation and lose your clients. So don’t look to Martin Short as your event coordination role model! There are so many wedding movies out there and although they are extremely entertaining, you should take them with a grain of salt. The role of the wedding planner isn’t usually at the forefront of films but when it does creep in, we usually aren’t thinking how accurate it is. So, keep on watching all the rom-coms and next time you’re watching one with a wedding, test your knowledge. Is this movie reflective of an actual career is wedding planning? Did we miss any unrealistic wedding planning movies? Let us know in a comment below! 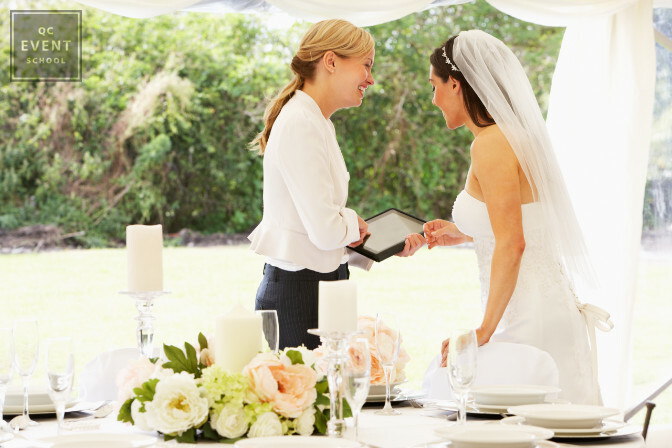 Want to start your career as a wedding planner? Take a look at QC’s Event and Wedding Planning Course!